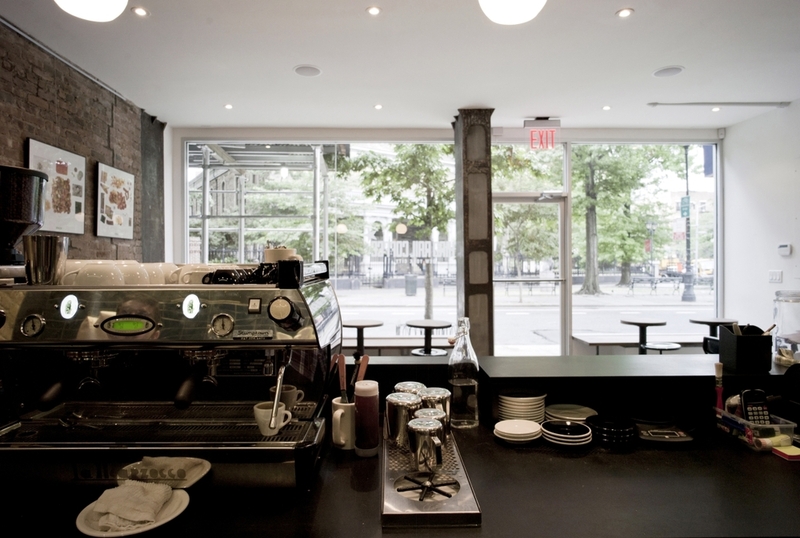 This cafe on Stuyvesant Street in the East Village is located across from the historic Saint Mark's Church. 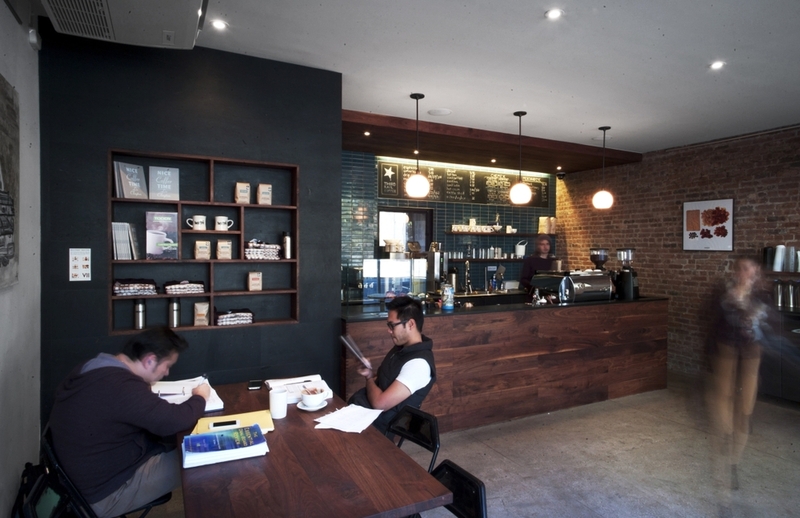 It was designed to invite customers in with warm, rich textures visible from the street. 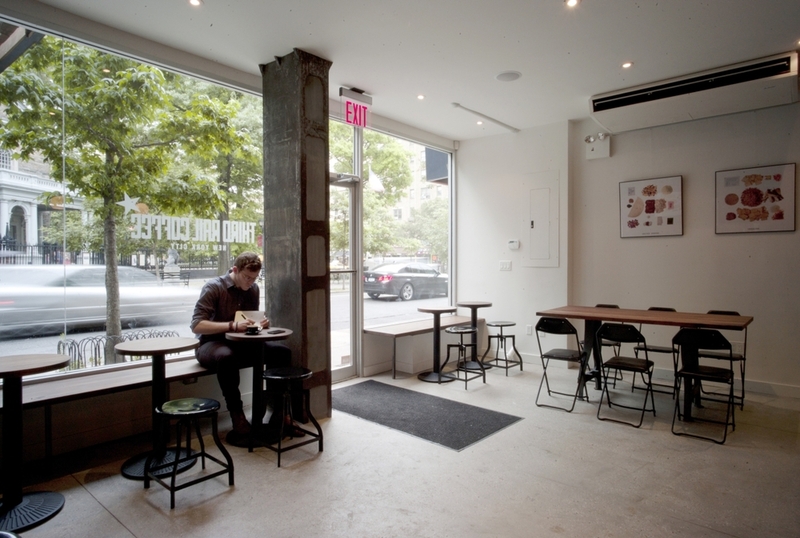 Working closely with the owners ensured a faithful representation of Third Rail Coffee’s ethos. 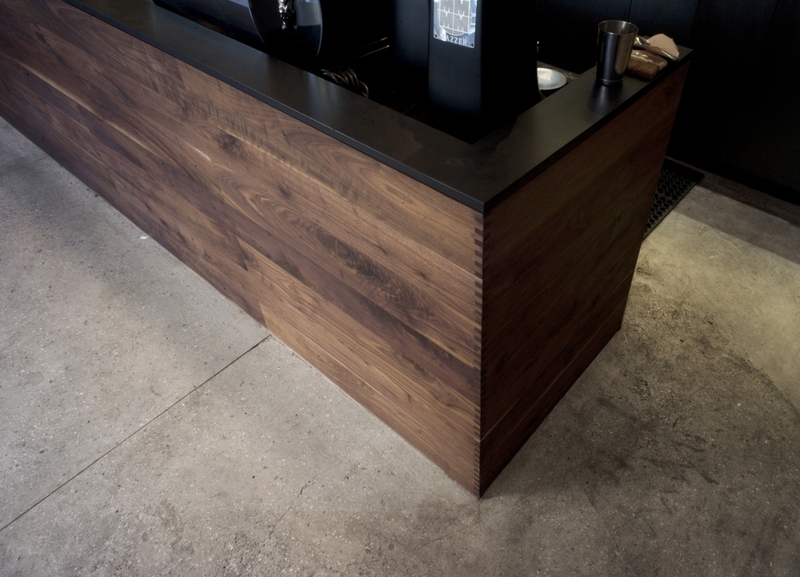 The sustainable, handmade materials and layered volumes of this intervention expand and optimize this tight space into a contemporary cafe.